Jim Wadsworth discovered the artist in himself while learning to weld at a local community college. He lives in Minneapolis, MN where, he maintains a number of perennial gardens - the source of his inspiration. 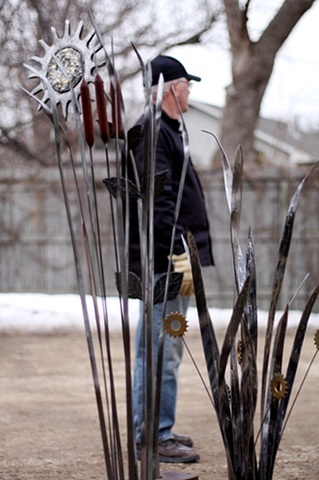 His studio is located at the Chicago Ave Fire Arts Center-38th & Chicago Ave in Minneapolis.